Starting in May and then through until September is my MOST favorite time to read. I don’t think this is anything exceptional or uncommon … there’s a reason why there’s a genre called “beach reads” and book authorities put out “must read” summer lists … so I’m hoping you all are feeling as excited as I am about the upcoming reading season! As I’ve stated before ad nauseum, and will state again (because I’m annoying that way), my to-be-read list is so long and large that there’s no possible way I will ever read them all. Which is terribly depressing. Maybe I’ll insist that on my tombstone I’ll have a beautiful engraving of “TBR: 0” … that seems both overly dramatic and appropriate. But, as usual, I digress. Time to focus in on this month’s Educated Book Club Discussion! 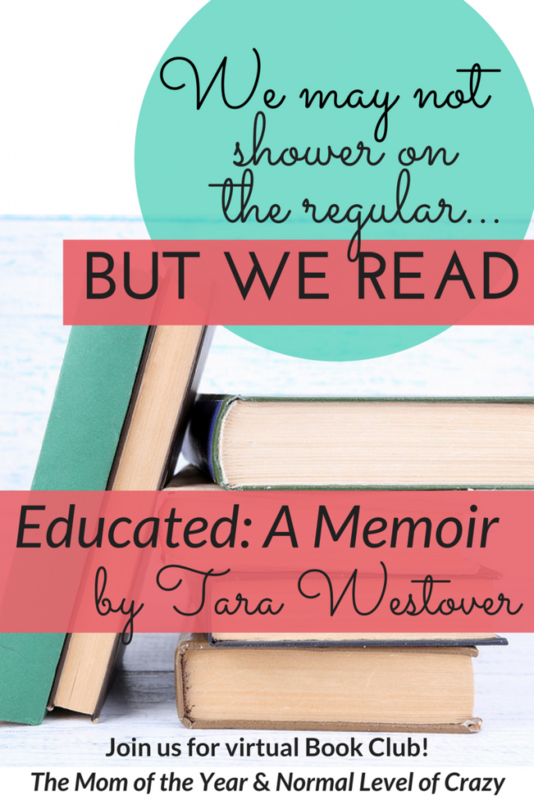 This month’s book, Educated: A Memoir by Tara Westover was a definite on my TBR list. Lots and lots of buzz on this one and I am happy to say, well worth it! I know probably a lot of you read The Glass Castle by Jeannette Walls ages ago, but I only just recently read it and worried that they would be too similar. And, of course, they have some similarities, but they are definitely two different books. Westover’s story involves a lot more religion and a lot more abuse. I hope this doesn’t steer you away from it, because it is a truly miraculous story that both shocks and impresses you. What were you the most shocked by? Would you even be able to pick one thing?? Tara Westover and her family (she is the youngest of seven children) grew up in Idaho, where her parents focused pretty obsessively on Mormonism. Her father pulled the children from school at a young age (Tara never even saw a school) because he was petrified the government was attempting to control them. The children had no birth certificates, nor did their parents even know the exact dates they were born. Tara and her siblings live were working for their parents (mostly her father in his junkyard) and attempting a small amount of learning from books in their basement. It is a story that is almost hard to believe. Did you learn anything about Mormonism? Did you know much to start with? One of the biggest themes of the book, though, is her father’s firm believe that God would heal all wounds/illnesses/injuries. They were NOT to see doctors or go to the hospital. Tara describes injury after injury, from car accidents to junkyard accidents, where someone in the family is left to recover without any medical intervention or treatments. Her mother uses herbs and oils to help, but everyone is left with lasting scars, both mentally and physically. I found some of this the hardest to read. What are your thoughts on children being treated at home vs in a hospital? Another big theme is her older brother’s abuse. For years and years, Tara was subject to humiliations and physical harm at the hands of her brother. Do you feel Shawn was violent due to his upbringing or do you feel the injuries he had suffered helped essentially create the monster? Lastly, the trajectory of her education is certainly one that is astonishing. She quite literally went from almost zero education (she did not know what the Holocaust was until she was a freshman in college) to finding secret ways to study for the ACT so that she would be able to attend college. I think this was the most fascinating piece of this memoir as you really get to see Tara’s struggle with learning and gaining knowledge and her parents’ belief that these institutions were evil. Did her helpful professors give you hope for this world like it did me? The struggle with her family and their beliefs comes to a head near the end of the book. It is an emotional journey for sure and you are rooting for Tara along the way, even as you understand her predicament. Could you relate to how torn Tara was between her family and her education? Or, less specifically, how hard it can be to maintain ties with a family that has almost complete and total opposite beliefs? 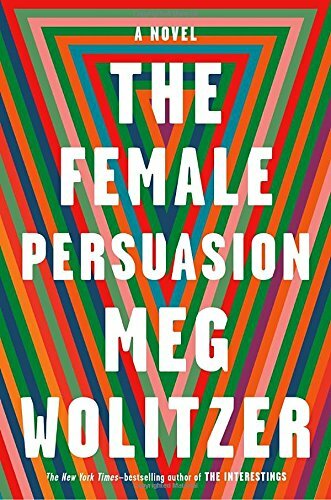 Next up….The Female Persuasion by Meg Wolitzer! I have tried Meg Wolitzer before and haven’t always loved her stories, but a trusted podcaster (Annie B. Jones from From the Front Porch) felt the same way and LOVED this book. Can’t wait!! We’re giving away a copy of The Female Persuasion to one of our readers! Enter by leaving a comment before 5/11/18 at 5:30am EST. As long as you are 18 or older and live in the continental United States, you are eligible to win! 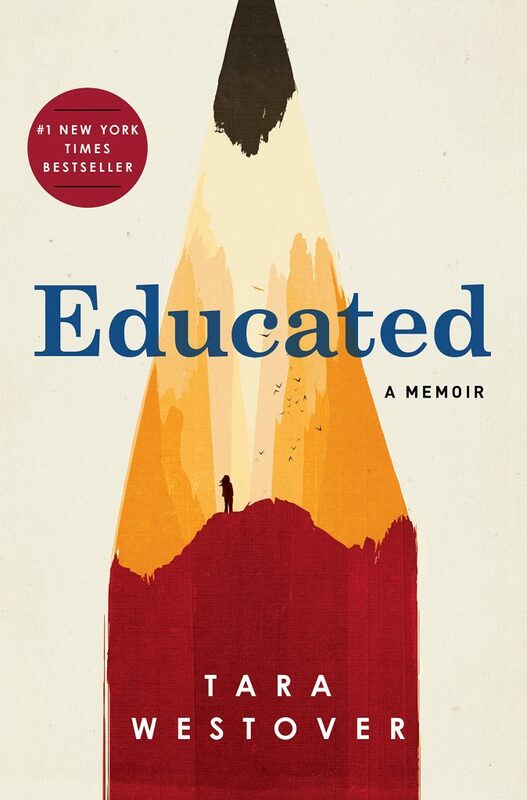 Thanks so much to Penguin Random House for providing us with copies of Educated: A Memoir for review and giveaway in our Educated Book Club Discussion! All opinions shared are always 100% our own! Both books sound interesting, I’m surprised I’d never heard of the first book reviewed. The Meg Wolitzer book sounds like a good read as well! It’s a pretty new release, so word may just be spreading! 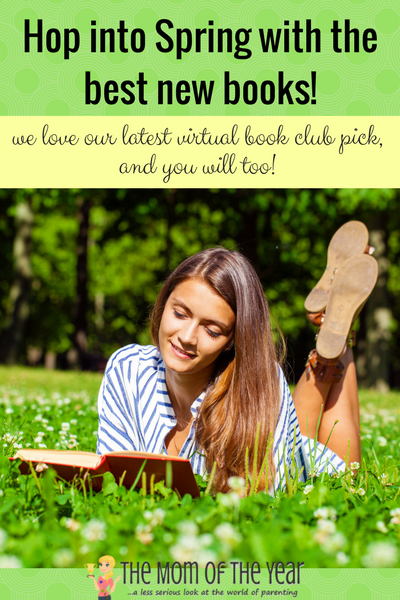 Love having you check out these books with us! Summer reading (for me…..not so much the kids) sounds amazing!! Picture it…you, me, a beach and our books….BLISS!! I just started reading “Educated” and it even just a couple chapters in, I’m hooked! I did a search for book club discussions on it because I’m thinking before I get any further, I want to recruit some friends to read it with me because I’m going to want to talk about it with someone! So that is how I found your post. You have some great discussion questions and I can’t wait to talk more about this book. Based on some of your questions and answers I did want to put out there though to please please please not take this book as an education on Mormonism or as a representation of what mainstream Mormons believe. Tara’s parents may have identified themselves as Mormons, but their extremism and way of life is no way reflective of actual Mormon doctrine or what most members of The Church of Jesus Christ of Latter-Day Saints (our official name) believe or how they live. Their belief that the government and doctors are not to be trusted was 100% their personal beliefs, that is not something taught or espoused by the LDS Church. While we do believe that God can and does often (but not always) heal, Mormon doctrine does not teach that faith in God’s healing alone should replace modern medicine. Thanks again for posting a good discussion about this book! Can’t wait to finish it! Lara, thank you so much for sharing this! Your point about the Westovers not being representative of the LDS church as a whole is well taken, and I did feel like she made that clear as well. It seems as though Tara maintains a deep respect for her faith, which is separate from many of the choices her family made. I am not Mormon, but I am a Christian, I do understand having faith in God’s healing power while still utilizing the medical system. Thanks so much for sharing more about your faith in relation to this book. Have you finished it by now? (Summer has been overwhelming me to say the least ;), so I’m slow in my responses!) Any further thoughts? So great to hear from you, Lara!